Trowse is a divided place; Trowse Millgate is a part of Norwich, but Trowse Newton is outside the City. This picture shows both. 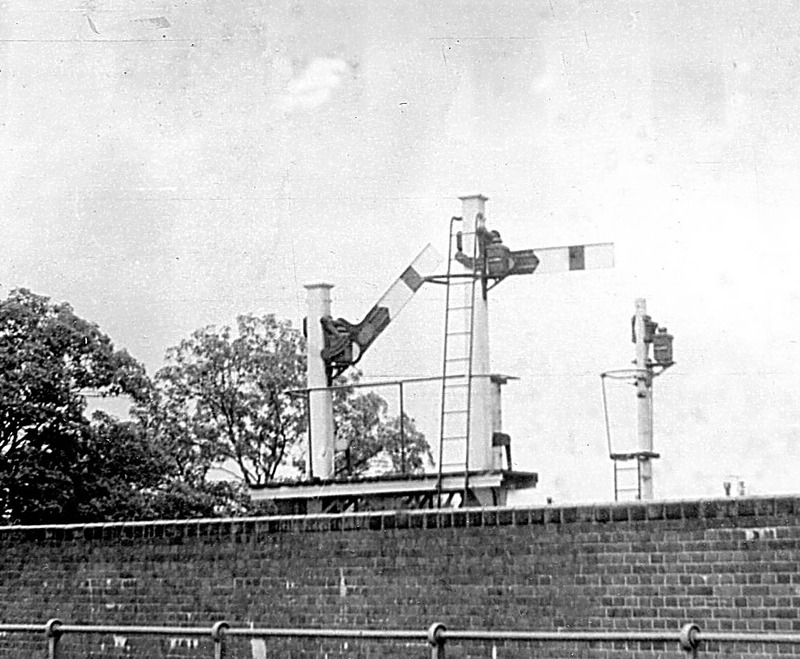 Old and new signals at Trowse about 1970. The railway bridge replaced a level crossing which used to carry the road to the city. The railings around the footpath were there to keep pedestrians safely separated from the cattle being driven up to market in the centre of Norwich, when this was the way from the sidings at Trowse. The church in Trowse is on the banks of the River Tas, and it is prone to flood during exceptionally wet seasons. There are records of it being inundated, going back 300 years. It is so obviously a bad place for a church that I wonder why it was built on such low-lying land. It was in this church that my cousin David Anderson married Diana Harrod in 1958. At the time his mother Olive was Assistant Matron at Whitlingham Hospital, which had been the Colman’s home at Crown Point in Trowse. This I think would account for the choice of venue. Diana also lived nearby in Bracondale. Back in the eighteenth century Richard Mackenzie Bacon, the editor of the Norwich Mercury, had family connections with Trowse. His mother Katherine was the daughter of the Vicar of Trowse, the Rev John Kirby. I have written on R. M. Bacon in other blogs (e.g. May 2012). Also in the 18th century Parson Woodforde used to send his corn (which he had grown on the church glebe land in Weston Longville) to be milled at Trowse Millgate, although it was on the other side of the city from Weston. I am hoping to discover why he sent his corn so far, when there were many closer mills, both wind and water powered. I can only think that the Trowse miller must have given him a particularly good price. In July 1785 a bare knuckle boxing match was held in Trowse, which was won by Haylett of Coltishall. 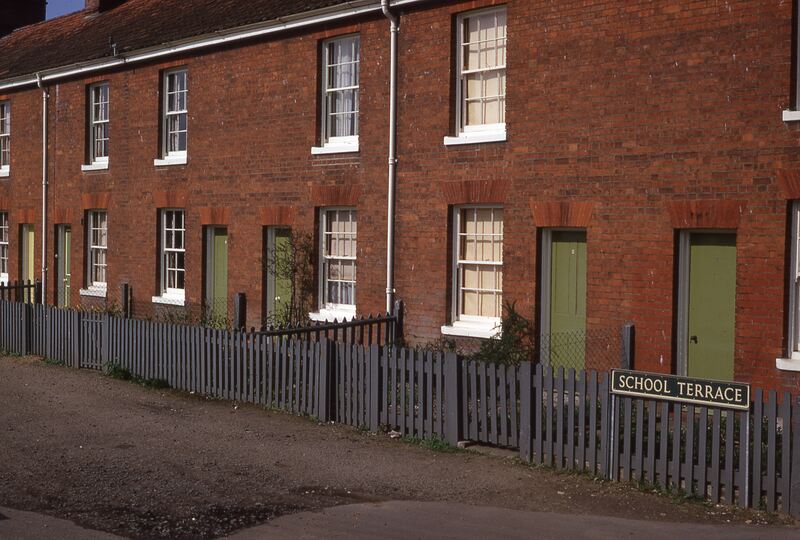 Trowse was further developed in the nineteenth century with estate cottages for the Colman workers. These included both servants from the Crown Point Estate and employees from nearby Carrow Works. It was to one of these cottages that my great-grandmother Susan Peachey (nee Jones) moved when her husband ceased to be the warrener for the Crown Point estate. He had lived down White Horse Lane in Arminghall. 25 Russell Terrace, Trowse, was also where my great-grandfather Charles Mason (on the other side of the family) lived for the last forty years of his life. He was born near Stone in Staffordshire, and after his marriage lived in Easton to the west of Norwich. He had always worked with animals, both horses and dogs. He found work for the Colmans as a carter. He had an allotment behind the house, and grew flowers as well as vegetables, much to the amusement of his neighbours, who could see no point in growing flowers. The hamlet of Trowse Millgate is administered as part of Norwich, although ecclesiastically it is still a part of Trowse parish. The old sewage pumping station which stood just to the far side of the railway line (but still to the city side of the rivers) is similarly part of Trowse Millgate. My last picture shows the short siding at Trowse where the coal trucks were unloaded to fire the pumping engine for the City’s sewage. 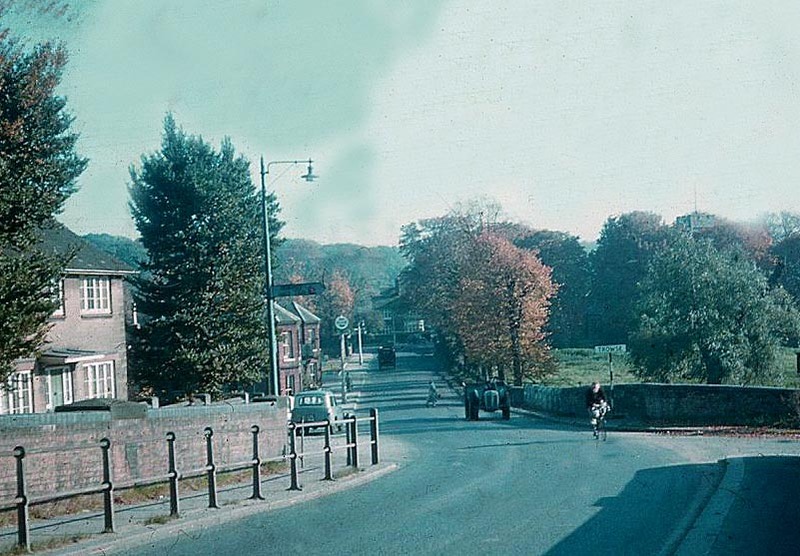 This photograph was taken in the mid 1960s, by which time the old coal fired pump had been out of use for several years. The siding however does not look too overgrown. The gentleman in the grey Mac and the Trilby hat is my father. Another lovely look into the past of Norfolk by Joe Mason. He is to be congratulated on his local knowledge.